We’re looking forward to seeing you at our stand at Basel, where we have participated for 41 consecutive years. We will be featuring the work of Jean Gorin with a few select pieces from our own collection as well as works in the hands of private collectors, notably a very fine sculpture. 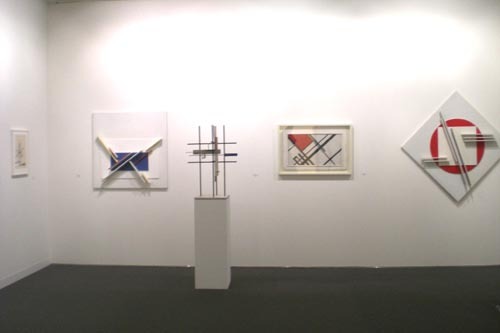 Several works of Gorin were on display at Tate Modern in London, as part of a show devoted to Theo van Doesburg. Mondrian used to say that Jean Gorin, thirty years his junior, was “the only French neoplasticist,” while Gorin loudly proclaimed his debt to the Dutch master. It might now be regretted that recognition of Gorin’s oeuvre has somewhat suffered from this connection, because during his long career he carved out his own universe and forged a totally autonomous art through his reliefs and especially his sculptures, in which he explored three-dimensional space. 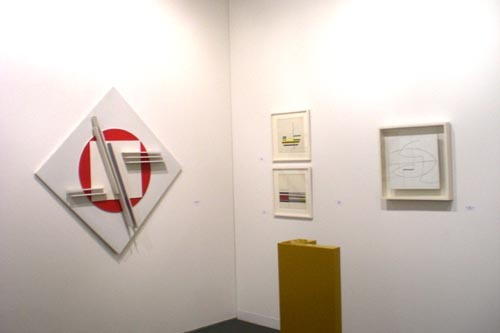 We are just back from Art Cologne, where we re-established contact with German collectors. We not only made new acquaintances but also had pleasant reunions with people we hadn’t seen for a long time. 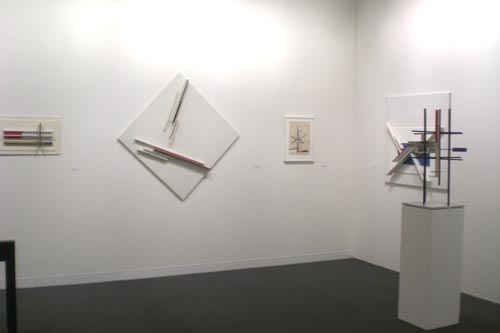 Despite the problem of the “dust cloud,” sales at the fair were good, especially for our contemporary artists. We are always delighted when collectors’ curiosity and open-mindedness spurs them to select a contemporary artwork. We have just marked the centenary of the birth of Jean Leppien at Lunebourg, his home town ; furthermore, a work by Leppien was recently bought from our website by an American collector—a world first ! In a few days we will be participating in a symposium on French art being held of Zagreb, Croatia. Several years ago we showed the work of Julje Knifer, a Croatian artist well known in his own country, which he represented at the Venice Biennale. I hope to meet his daughter. For the autumn we are planning a large show of work by Auguste Herbin with a major catalogue featuring an introduction by Serge Lemoine, Herbin’s great advocate. I am even considering clearing my living room in order to create some more exhibition space ! Here again we look forward to seeing many of you, so that you can finally appreciate—or savor anew—the extraordinary career of Herbin as one of the most important painters of the 20th century. Lemoine considers Gorin to be the “Cézanne” of art construit both modern and contemporary, so significant has his influence been among French and international artists (see our catalogue : Auguste Herbin and His Circle, by Serge Lemoine). But before then we hope to see you in Basel.